There's an old adage among front office executives of NFL teams. In regards to the conclusion of Week 1 of the NFL season. The 50% of teams in the league who win their opening game will begin wondering if they'll lose at all that upcoming season, and the 50% of teams who lose their opening game will begin to wonder if they'll win a single game all year long. Such is life in the ultra-reactionary world of professional football post NFL Week 1. So, at the risk of overplaying or underplaying any team's performance during NFL week 1, let's all slow-down with the all the hot takes, proclamations, and panicking, shall we? Kansas City's offense isn't as prolific as everyone is making it out to be. New England's defense isn't as bad as everyone is making it out to be. Jacksonville's defense won't maintain their pace for finishing this season with 160 sacks of opposing quarterbacks. The New York Giants won't maintain their pace for scoring a grand total of 48 points this season. The Los Angeles Rams won't have the #1 point differential in the NFL for much longer. The Buffalo Bills and Detroit Lions aren't going to finish the season with an undefeated record. The Seattle Seahawks aren't going to finish the season with a winless record. Tom Brady isn't going to finish the year without ever throwing a touchdown pass. Alex Smith won't maintain his pace for throwing 64 touchdown passes this year. Andy Dalton won't continue his current pace of turn the football over 80 times this season. Deshone Kizer and Jared Goff won't have more touchdowns passes than Marcus Mariota and Russell Wilson for much longer. Le'Veon Bell won't be ranked below 29 other running backs and two different quarterbacks, in terms of total rushing yards. Antonio Brown won't maintain his pace for catching 176 passes this year. Austin Hooper can’t possible maintain his average of 64 yards per catch. 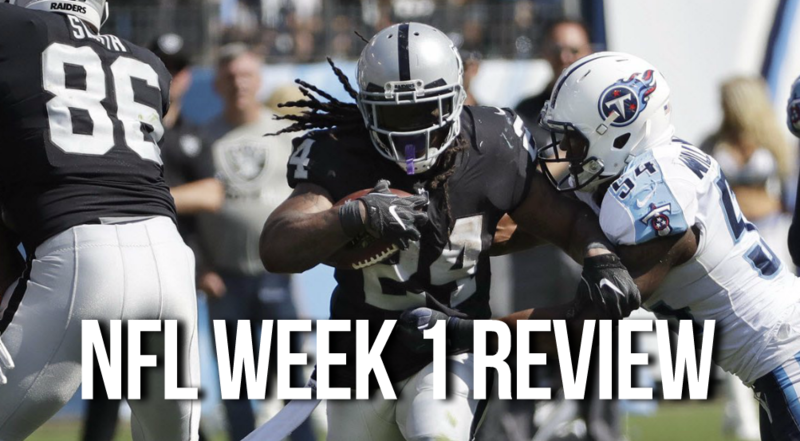 So, enjoy NFL week 1 for what it was… because it was just one week of a long football season. There's still plenty more football to go, and plenty more for all of this season's stories to unfold.